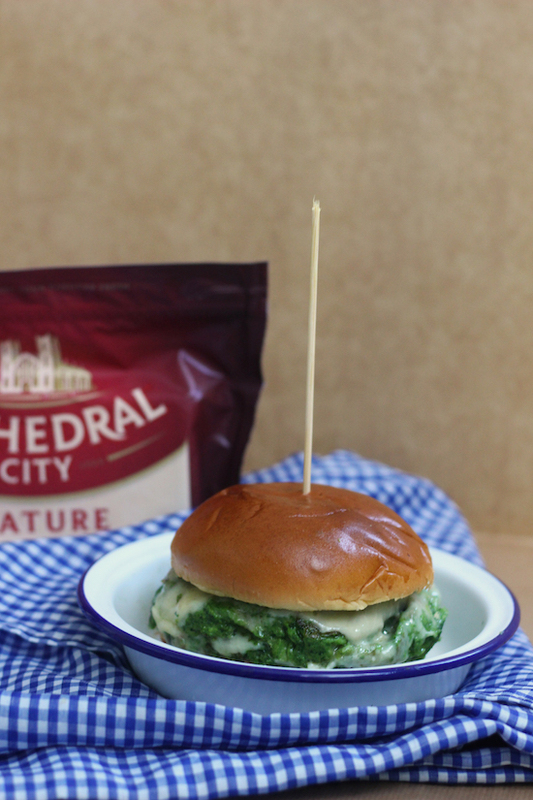 Emily's Recipes and Reviews | UK Food Blog | Leicestershire : broccoli, spinach and cheddar cheese burgers. Step one. Blitz together the broccoli, spinach, garlic and cheese. When blended, stir through the plain flour and season to taste. Lastly add in the egg. Step two. Lightly oil a frying pan and turn to a medium heat. Cook the patties for around 7 minutes a side, using a burger ring if needed. Step three. When almost ready, melt squares of cheese on top. When the cheese is bubbling over the top of the burger, it's time to serve up in a bun! Enjoy with extra sauce or mayo - yum! Have you tried a cheesy veggie burger before? What would be your cheese rule? Love cheese too? Find Cathedral City on Facebook!